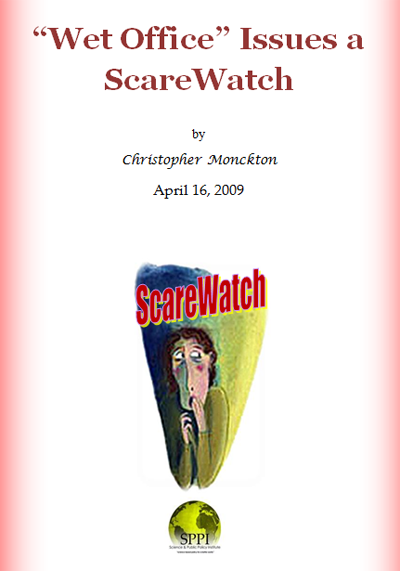 The scare: In mid-February 2009, Discovery News announced that “a new study” had found that cracks in dry soil exhale large quantities of gas, “perhaps enough to affect ‘global warming’”. Noam Weisbrod of Ben Gurion University of the Negev and a team of researchers monitored a crack about 6 ft 6 in long and a yard deep for two years in the Negev Desert is Israel. Each night, they watched as warm air in the crack drew water vapor out of the surrounding rock, and lifted it into the cold evening air. 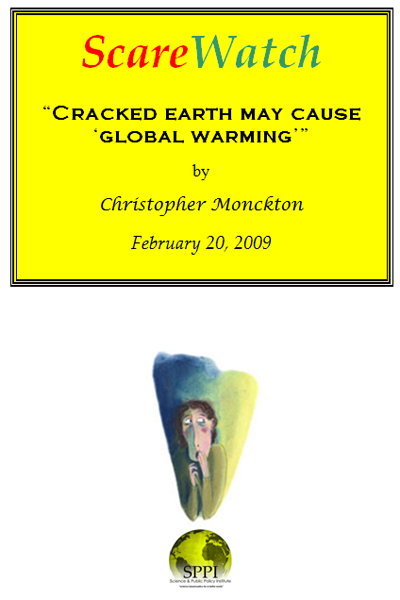 If air in the crack is 12.5 Fahrenheit degrees warmer than the ambient temperature, it is buoyant enough to rise out of any crack in the ground bigger than half an inch across, bringing with it any gases that leak out of the surrounding soil. But the team was “surprised” to find that the crack they studied gave off water vapor up to 200 times faster than areas without fractures. The truth: It continues to be astonishing that editors in today’s news media will not check even the simplest scientific logic in any story that contains the magic words “global warming”. Environmental journalists now know they can write any nonsense they like: for, if the words “global warming” is included, no one will bother to verify anything they say. The point missed by the editors of Discovery News is a very simple one: since cracks in the soil emit gases whether they are wet or dry, there is no basis at all for the assumption, implicit in their scare story, that warmer weather will cause more cracks in the soil and will consequently emit more implicitly-dangerous greenhouse gases. To put it another way, cracks in the soil have always emitted greenhouse gases and will always do so: therefore the composition of the atmosphere already reflects this fact. Furthermore, warmer weather is also moister weather worldwide (that is why the tropics are so damp and the Poles so dry), and moister weather reduces the propensity of the soil to crack. 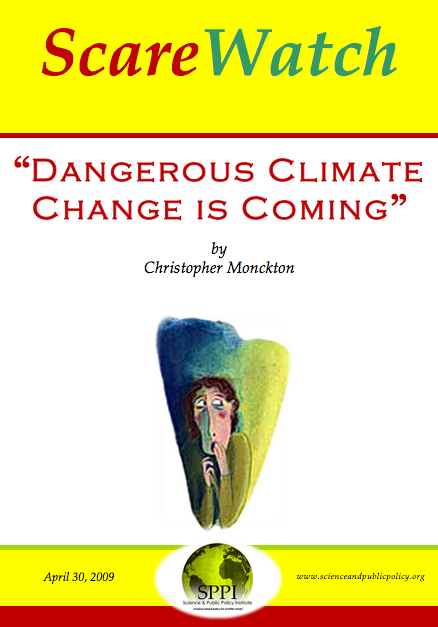 Therefore “global warming” will, if anything, cut the supposedly “dangerous” emission of greenhouse gases that would otherwise stay locked in the soil. End of scare.